Over much of its long history, the coastal city of Acco served as one of the key ports of the land of Israel. For thousands of years Acco was besieged and conquered by a series of invaders, yet at times its strong fortifications kept it from defeat. Even Napoleon Bonaparte was unable to conquer the city. Yet after trying for decades, the Crusaders finally took Acco in 1104, and it became thriving city of great importance. Indeed, it was declared the capital of the Crusader kingdom in the Holy Land. 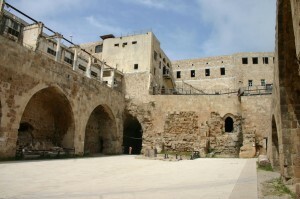 Much of the Crusader town has been discovered under present day Acco, and the remains are almost intact! Don’t miss this unparalleled picture of the Crusader capital. Thank you so much for getting together our custom tour! Shmuel was a fantastic tour guide and very knowledgeable. We learned so many amazing things. And he is so fit! We were impressed at how he doesn't even get tired walking and walking and walking!